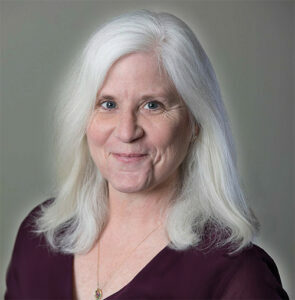 Dawn Brotherton is an award-winning author and featured speaker at writing and publishing seminars. When it comes to exceptional writing, Dawn draws on her experience as a retired colonel in the US Air Force as well as a softball coach. Her books include the Jackie Austin Mysteries and the Global Ebook Bronze Award Winner, Worth the Wait. She is a contributing author to the non-fiction A-10s over Kosovo, sharing stories from her deployment. She has also written the Lady Tigers Series about girls’ fastpitch softball, encouraging young, female athletes to reach for the stars in the game they love. Dawn is now writing for the Williamsburg magazine, Next Door Neighbors. Hear from Dawn herself, with this interview. She offers a unique perspective from inside the military with her first book, The Obsession and its sequel, Wind the Clock. Dawn is currently working on the third book in the series, Truth Has No Agenda. An avid fastpitch softball player, umpire, and coach, Dawn designed a new Scorebook that makes it easier to take notes and enables the coaches to re-create the game at a later date to pull out lessons learned for the players. Inspired by her love of the game and her two daughters, Dawn is working on The Lady Tigers’ Series, fiction stories about a girls’ softball organization where the girls learn that being part of a team is about more than just playing softball. The target audience for this series is middle grade readers. Order your copies of Trish’s Team, Margie Makes a Difference, Nicole's New Friend, Avery Appreciates True Friendship, and Tammy Tries Baseball here. While on Active Duty for the Air Force, Dawn felt it wasn’t wise to publish a steamy romance novel under her name. Now officially retired from the military, Misty Austin is showing her true identity as Dawn Brotherton. She won an award for her first romance book, Worth the Wait. Stay tuned for other works by Dawn Brotherton, with the Lady Tigers on the softball field, or joining Jackie Austin at the Pentagon as she finds herself in the media limelight.